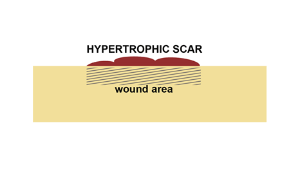 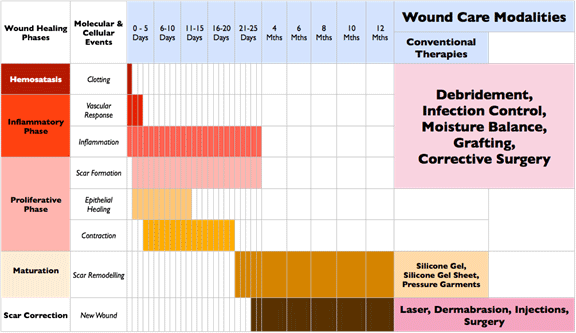 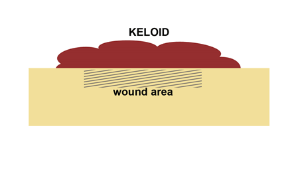 The following happens in the wound healing process before you start to see scars. 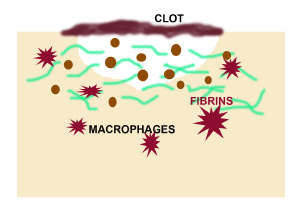 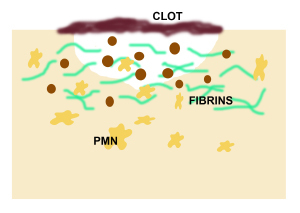 Plasma fluid & protein, antibodies, leukocytes and red blood cells enters the injured area. 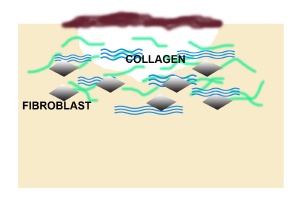 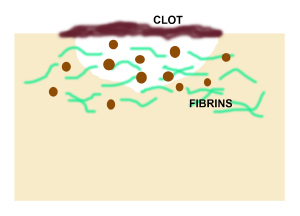 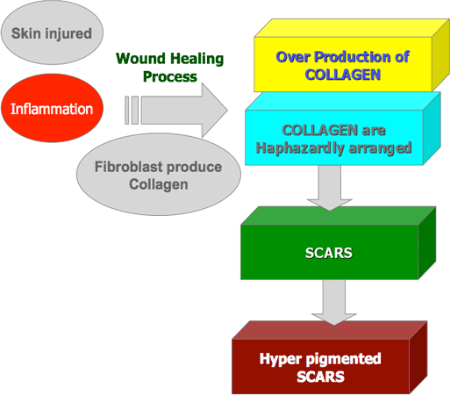 Most part of the scar tissue is made up of collagen fibers. 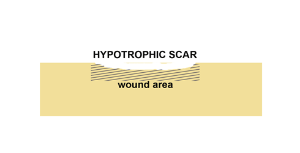 It is better to avoid bad scarring before the scars appear. 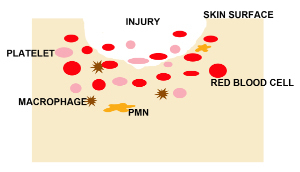 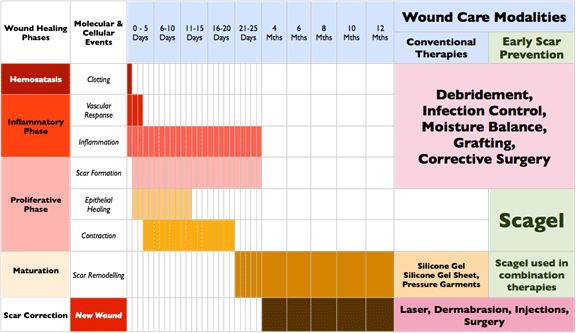 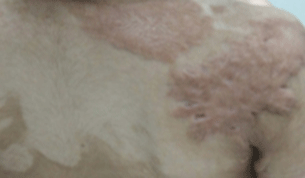 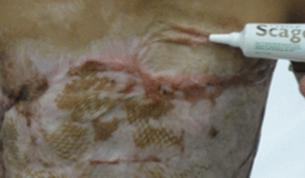 Risks of bad scar formation can be reduced with early care and attention to the wound area. 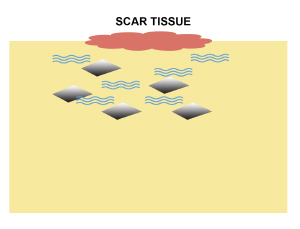 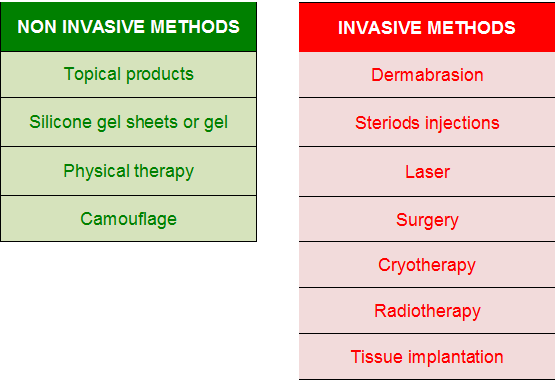 In some cases, corrective surgery or other invasive methods may be required to improve the scars.